To make this we are going to start with the Gel Press and 2 colors of re-inkers: Bubble Gum and Cool Pool. 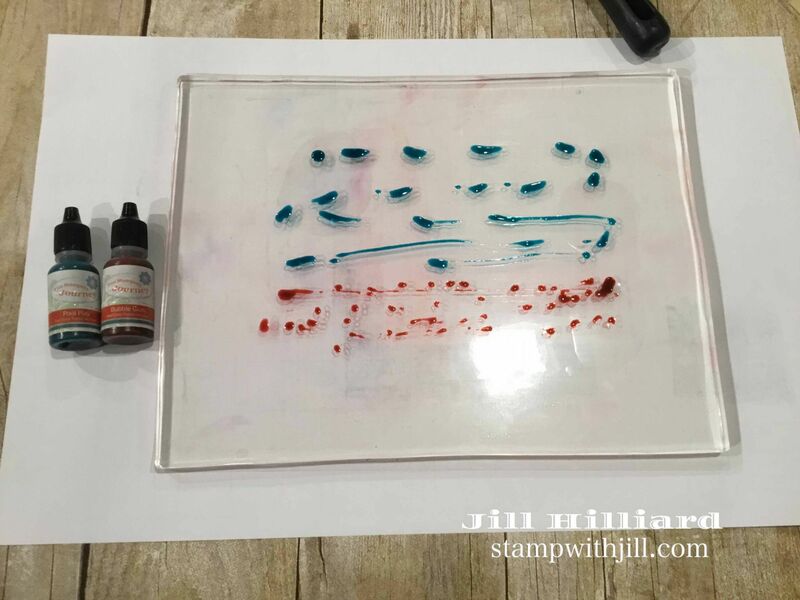 start by putting a bunch of drops of re-inkers on your gel press as shown. Then brayer the ink to create a smooth spread of ink. 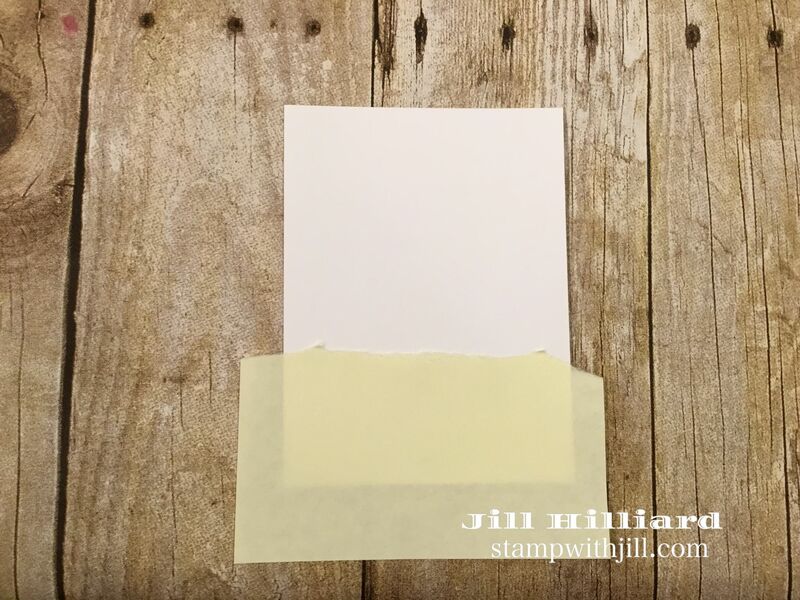 Tear the edge of a post it note to create the “ground” or “horizon” and put it on your whip cream card stock as shown. Place it face down into your gel press and let it absorb the brayered ink. 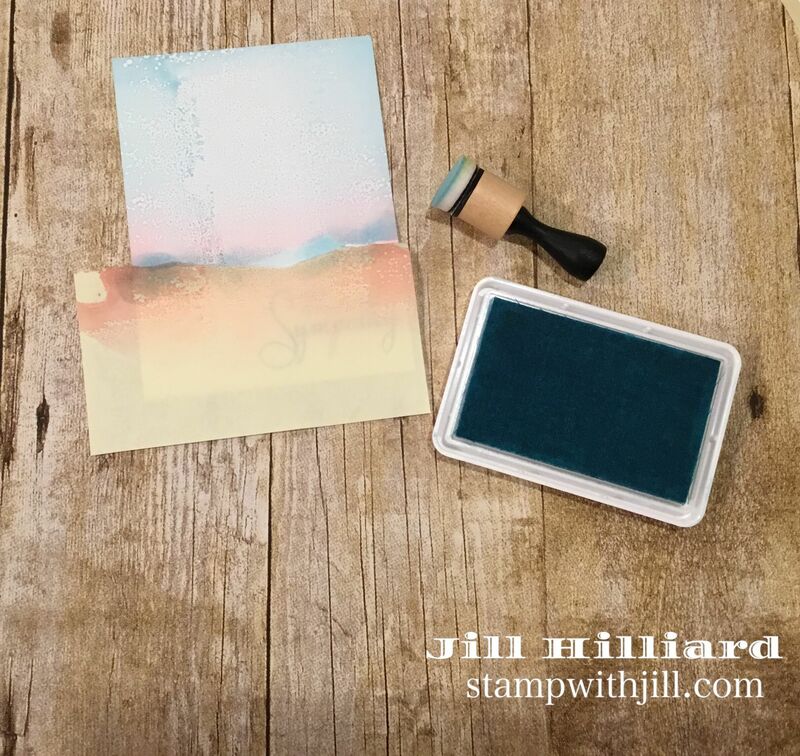 Re-brayer the ink (don’t add any new drops) and repeat 5-6 times with new card stock every time. This is what I got in order. Top left was the most saturated since it was the first pull. The bottom right was my 6th pull and is the lightest in color. I had a bunch of whip cream panels ready to go so it was quick. 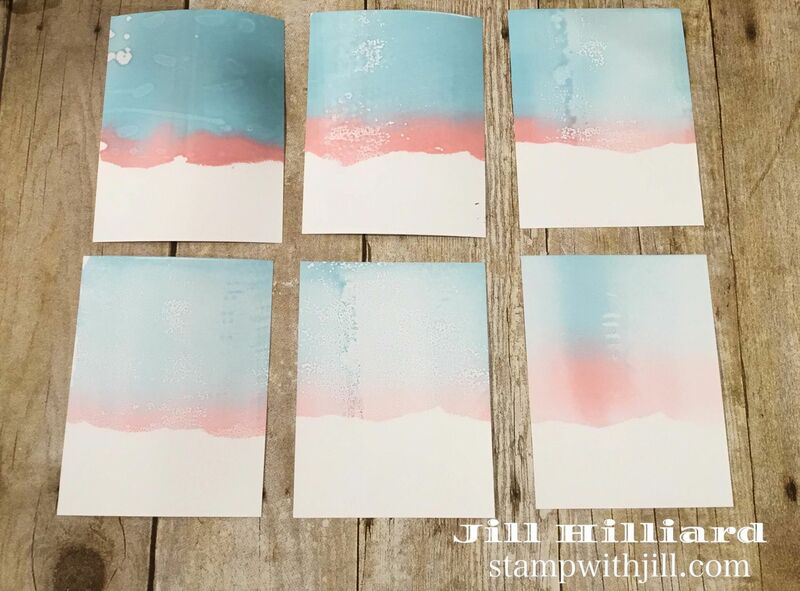 Brayer, place cardstock, peel off, brayer again, place cardstock, peel off and repeat! Now stamp your sympathy sentiment ( I used Strength and Hope) at the bottom or the top of the panel. You can see below that I did both. 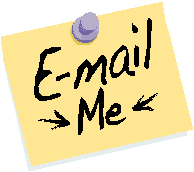 Re-attach your post it note slightly below the link. 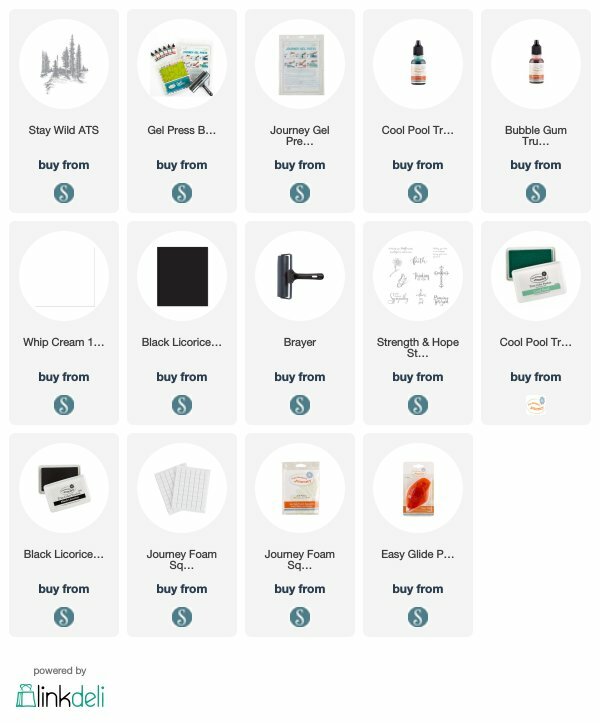 Add some additional cool pool ink from your ink pad with a sponge or a dauber. I mixed up my post-it notes from each panel so the tear was not exactly the same as the horizon. 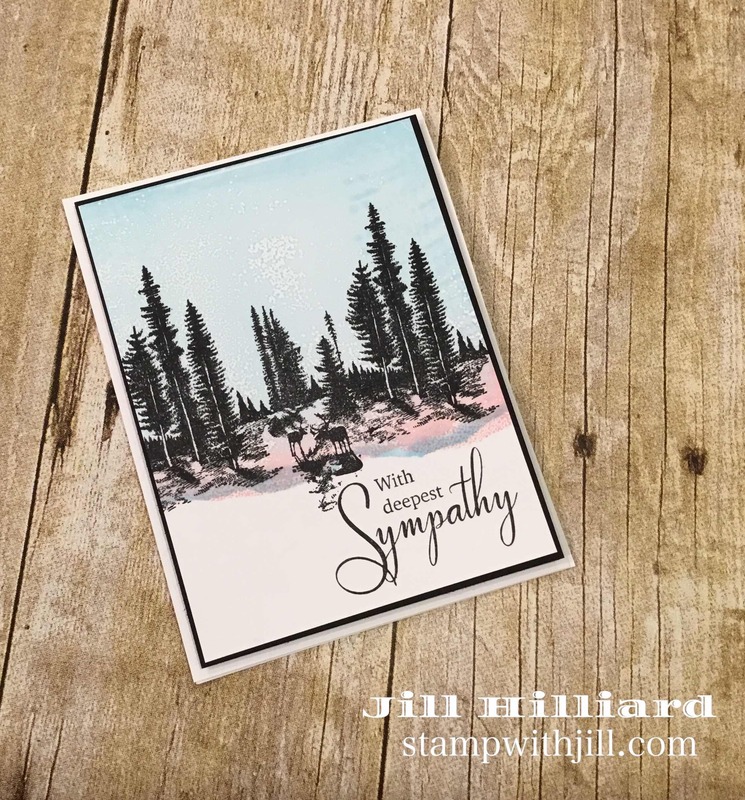 Stamp the Trees from Stay Wild stamp (I used black licorice ink) with the base of the trees at the edge of the pink and your card front is complete. NOTE: If you stamp your Stay Wild trees to high, this is what your card will look like. Pink snow instead of a pink horizon. Oops! I’m hopeful the recipient won’t really notice the mistake. I can’t bear to trash the card! Did you notice in the picture above? 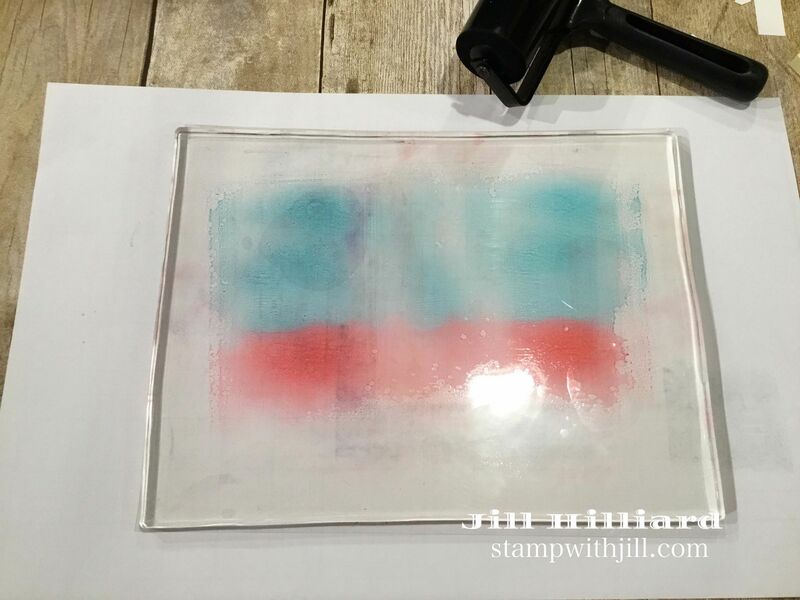 I hope you enjoyed this tutorial for the Gel Press with the Stay Wild stamp. The inspiration for this card came from this card from 2008! With just a few changes this card can cover lots of occasions! Change the colors of re-inkers and you have a fall sunset. Change the re-inkers to darker shades of blue for a evening sky. Change the sentiment to Birthday or Father’s Day and you have a masculine card. So many options! 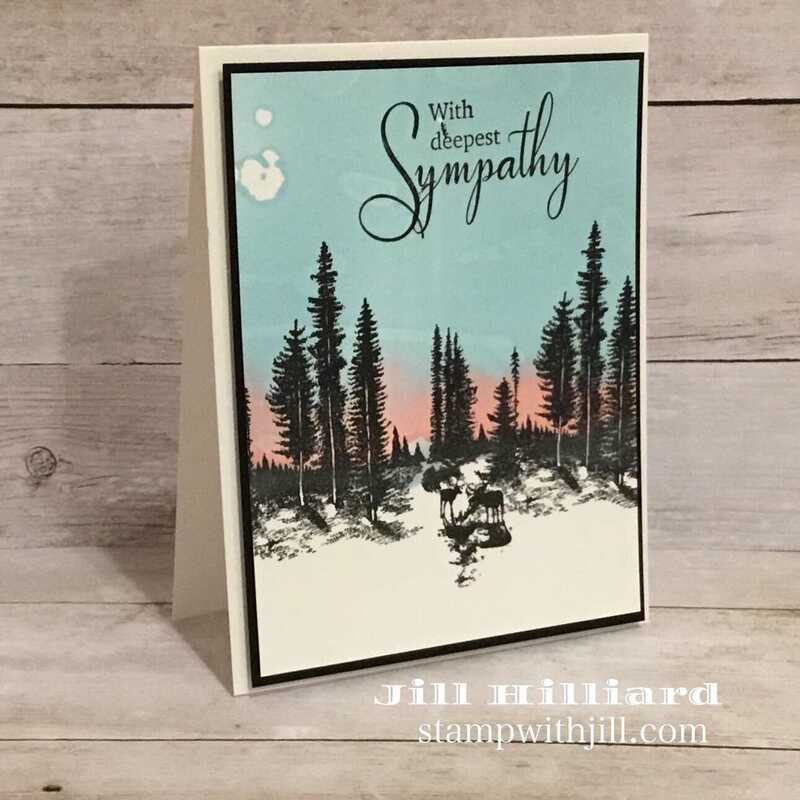 Beautiful cards – and NO ONE would complain about pink snow! I would never have noticed if you hadn’t said something. yay!!! !-we are our own worst critics right? the stay wild ATS has the deer in it. I just came back to send this to a friend. 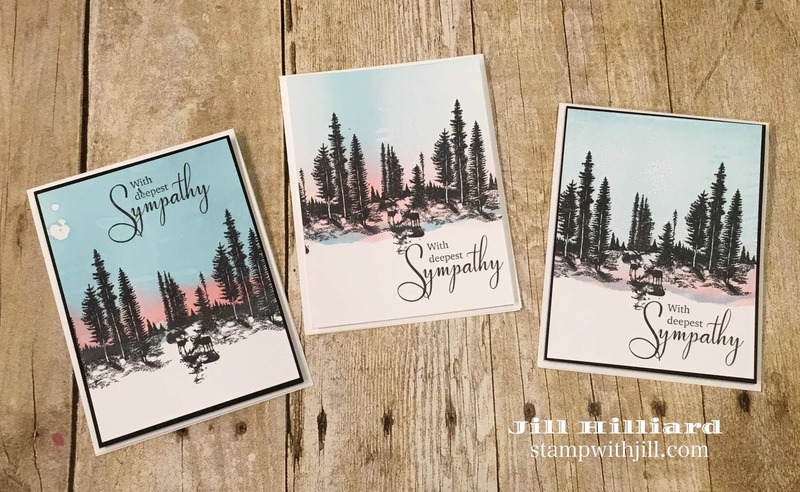 I made several of my Christmas cards this year by following your tutorial, and people loved them. Thanks again for the instructions.